The Supreme Court has ordered the removal of wedding halls from military land in Karachi. A meeting chaired by Justice Gulzar Ahmed was held at the Supreme Court’s Karachi registry on Tuesday. Justice Gulzar Ahmed said that business activities on the land acquired for defense purpose were unlawful. The judge remarked that wedding halls were constructed on land sanctioned for hospitals. Justice Gulzar ordered the authorities to establish libraries in all phases of DHA. Justice Gulzar Ahmed is monitoring the anti-encroachment drive. He comes to Karachi every week and summons reports from government departments. On November 23, the top court had ordered the Karachi administration to raze wedding halls near Old Sabzi Mandi and Kala Pull. In 2017, the Karachi Development Authority had conducted a drive to raze wedding halls built on welfare plots. At least 50 halls were demolished, including Lalazar in Gulshan-e-Iqbal, and Sara Lawn, situated on University Road. The operation was a part of a drive against land mafia in Karachi. In 2015, another drive was held in Karachi in which one of the wedding halls was owned by Muttahida Qaumi Movement leader Babar Ghauri was demolished. 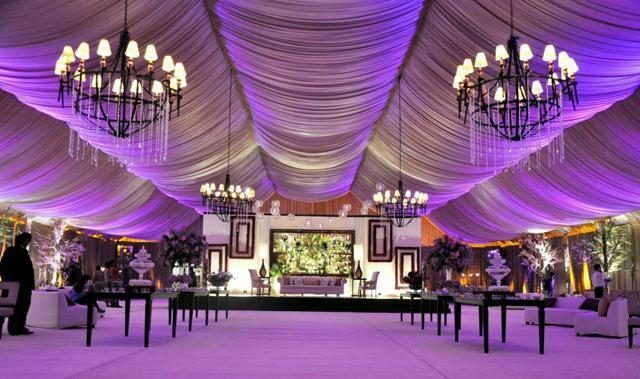 The wedding hall, Florence Marriage Lawn, was situated in North Nazimabad’s Block H.